On our inshore and flats fishing charters we use the legendary Lake & Bay 18 foot flats boat powered by a 115 Hp 4 Stroke Yamaha. 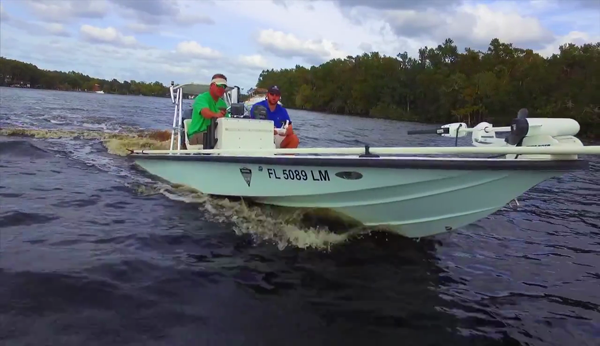 The boat draws very little water which makes it possible to push through shallow areas to chase red fish, tarpon, snook, sheepshead and other inshore species. 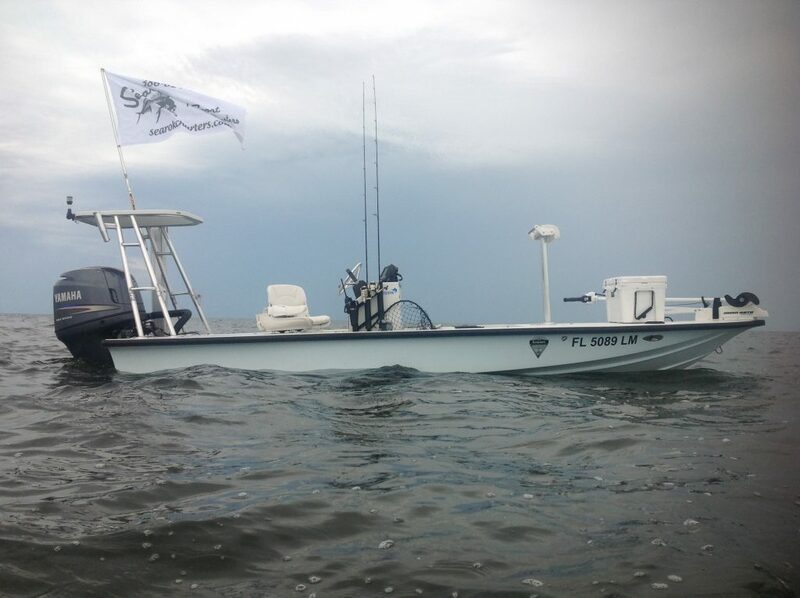 Equipped with a trolling motor, shallow water anchor and a push pole we can get you as close to the fish as possible. Inshore and flats fishing is more like hunting with a fishing rod. We spend most of our time looking for fins and then casting to them instead of dropping lines blindly. This style of fishing can accommodate up to 2 anglers in many locations whether you prefer fresh water or salt water. These trips are great for a couple of adventurous folks looking for some fishing charter fun! 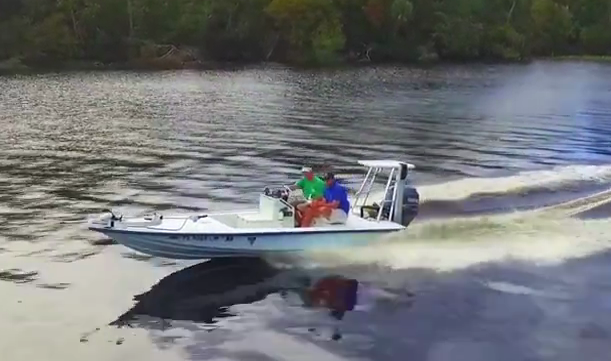 If bass fishing is more your speed we have miles and miles of water to explore on the St. Johns river where world record bass have been landed. We offer 2 types of fishing for this elusive fresh water species. We use live shiners and plastic baits depending on conditions and angler experience. This charter is very relaxing just trolling past lily pads enjoying nature and targeting one of our most beloved species, the large mouth bass. All our inshore charters are available using bait casters, spinning reels or fly rods. 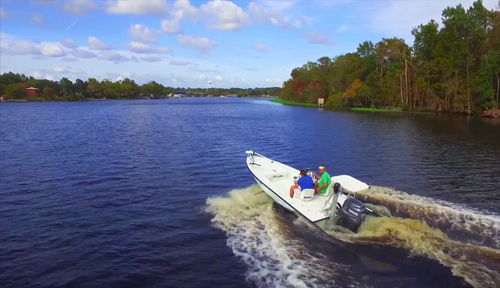 We fish inshore in the following locations: Tomoka River, Ormond Beach, Ponce Inlet, Daytona Beach, Halifax River, St. Johns River, Lake George, Lake Diaz. We now offer fly fishing on all our trips. offshore, inshore and fresh water. If you’re an experienced fly fisherman and would like to add this to your trip please let the captain know at time of booking. We will plan our day accordingly. PLEASE READ: Our goal is to provide an exceptional experience for all our anglers with all levels of experience. We are a sport fishing charter, we do not kill everything that we land in the boat. In order to sustain our fisheries for fellow anglers we need to make sure there will be enough fish for everyone for years to come. We will harvest some species within the limits of the season for a meal. We are conservation anglers, not commercial fisherman. As conservation anglers we are eliminating plastic water bottles on all our trips. For your participation we will provide you with a brand new 25 OZ stainless steel canteen to use and take with you at the end of the day. We will provide fresh water in reusable jugs from Nestle or Zephyrhills. The deposit is non-refundable if your trip is cancelled less than 72 hours before your booking date. If you would like to pay with cash, please call Capt. Nick at 386-624-1469 to reserve your trip on the booking calendar.